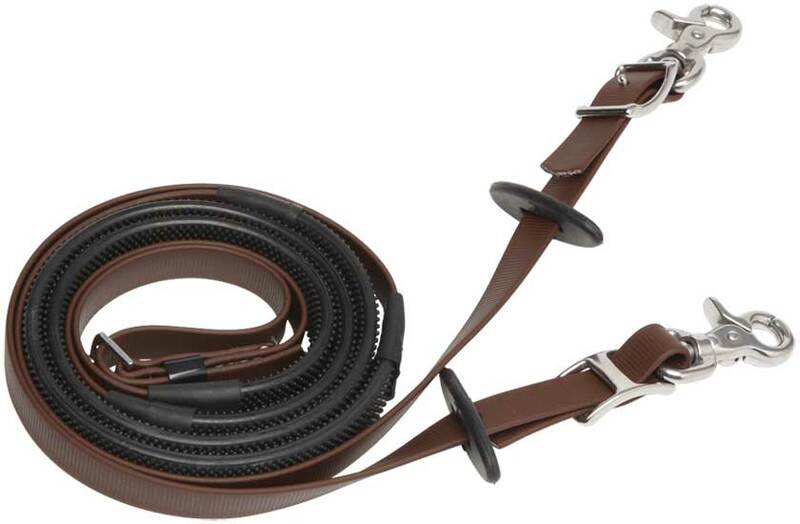 Made from Zilco’s 19mm SF webbing with 46cm black pimple grips. 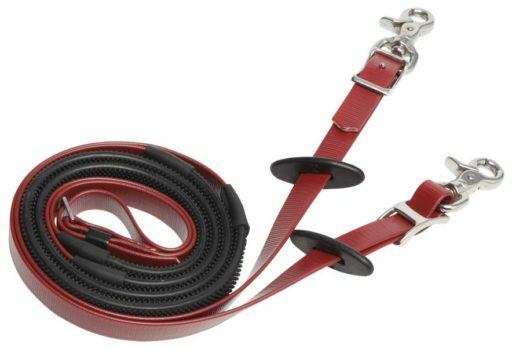 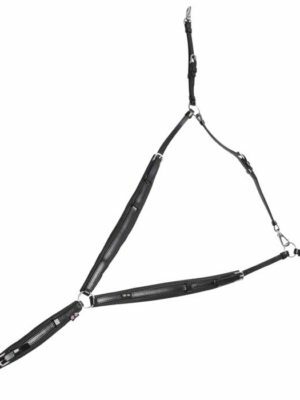 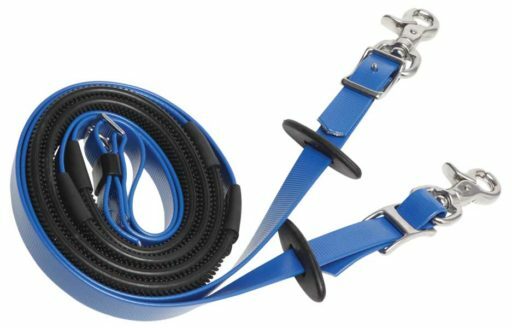 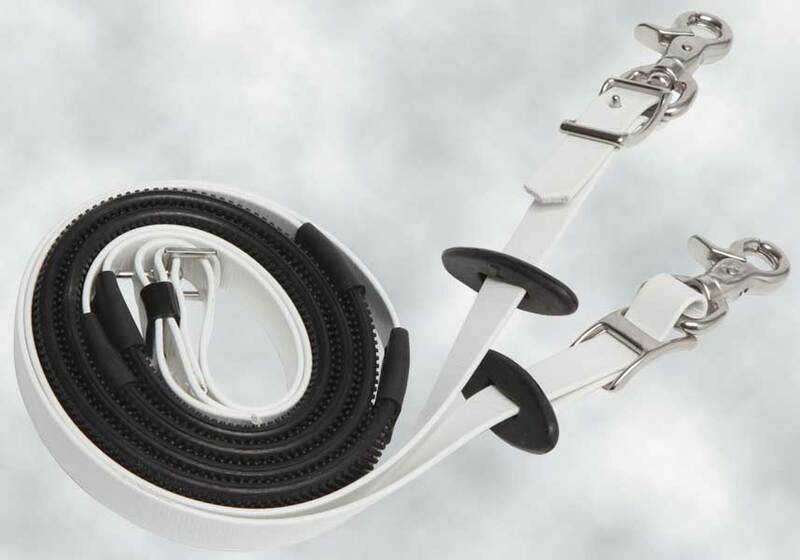 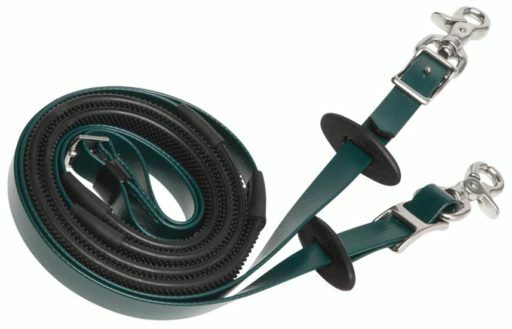 Deluxe Endurance Reins attach to the bit with light yet strong stainless steel rein snaps and buckle together at the centre. 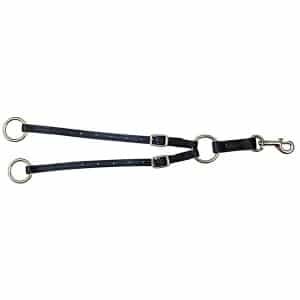 They come complete with rein stops for those who use a martingale. 14 great colours to choose from. 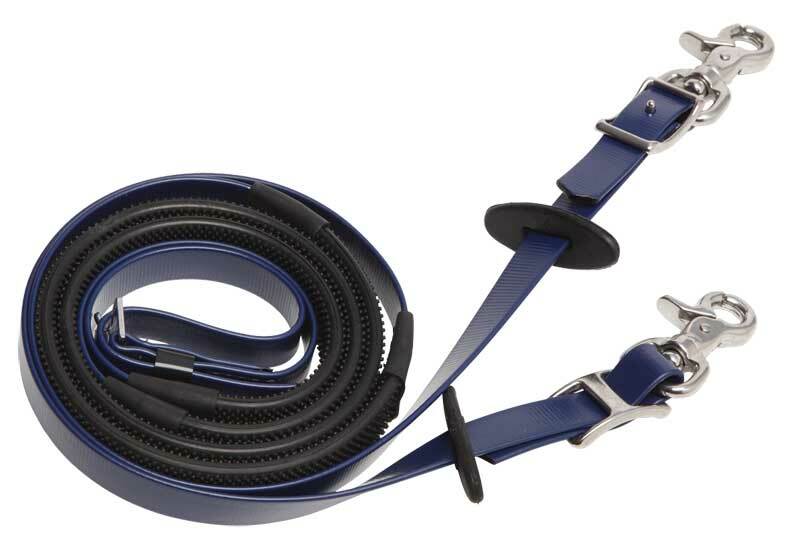 These reins attach to the bit with stainless steel reins snaps and buckle together at the centre. 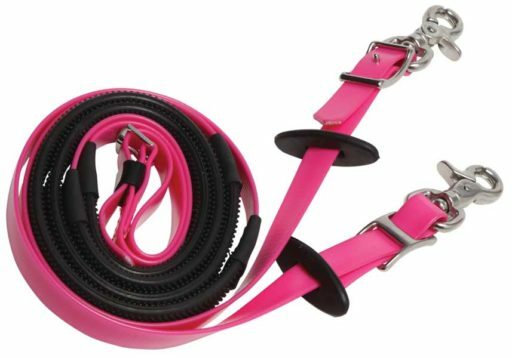 Total length 127cm ( 50″ )each rein. 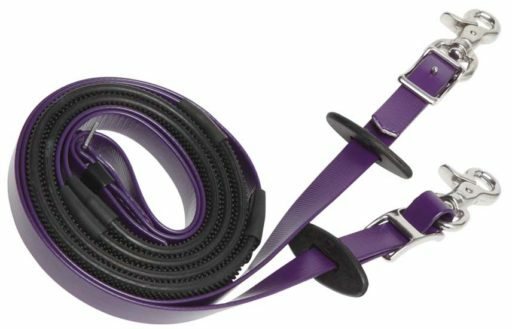 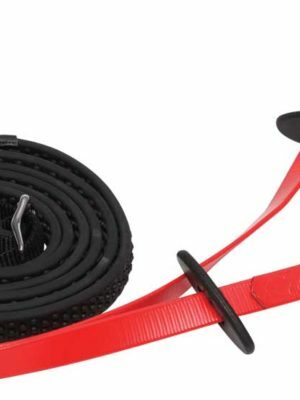 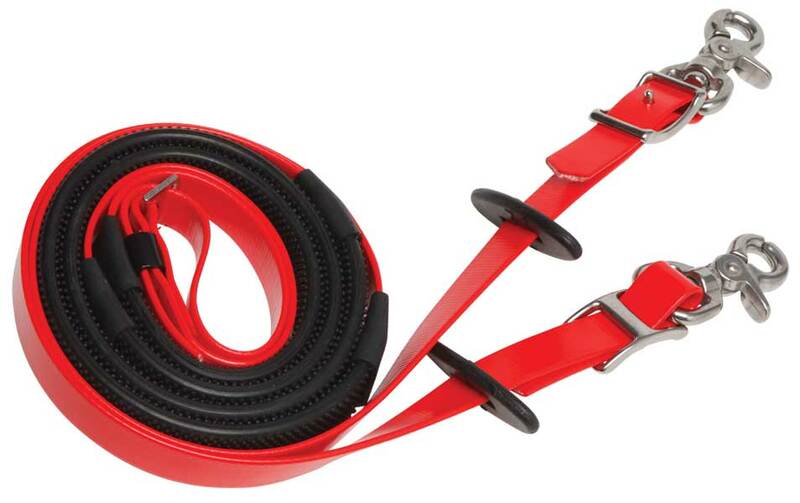 My Deluxe endurance reins are the perfect thickness and length and compliment my whole Deluxe endurance set. Great colour range too. 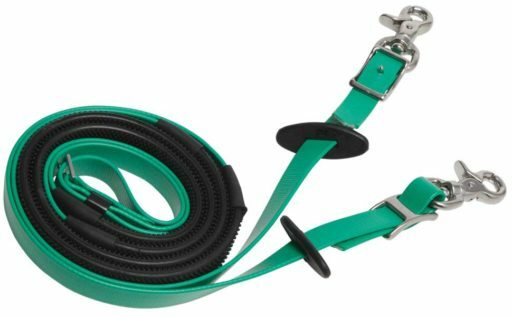 I live in the USA and I couldn't find these reins to match my Zilco light green Headstall. 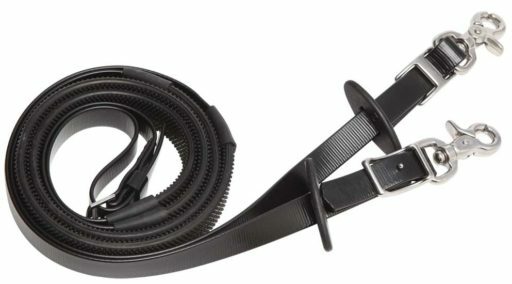 Zico referred me to Dixon Smith and they sent me these reins. These reins are a bit shorter then the woven reins but the quality of these reins is very good. 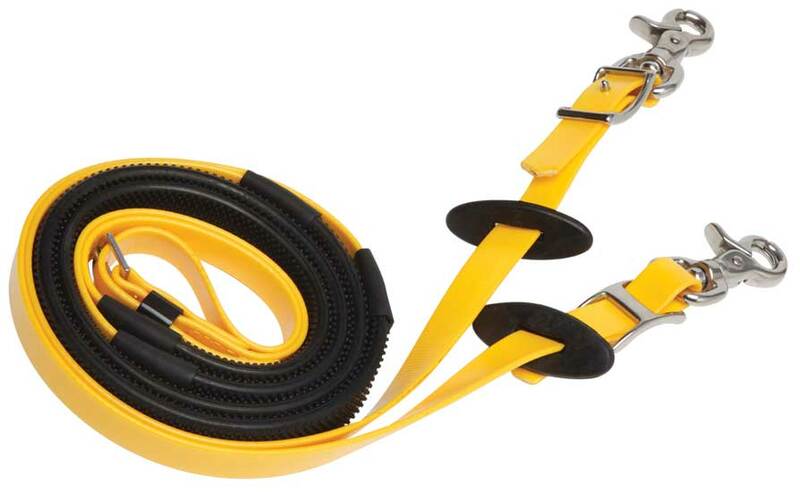 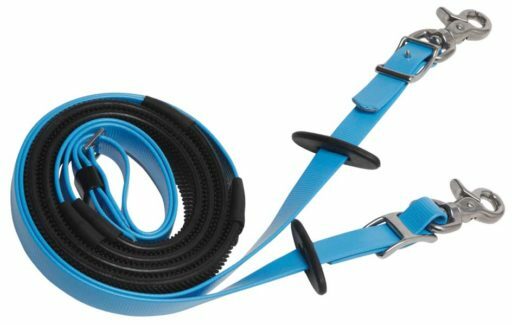 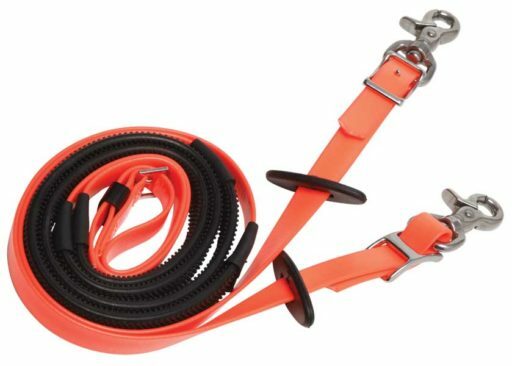 I will use these shorter reins for arena work and riding with my friends. Thanks for sending them to me.